Captain Kidd is said to have sailed the waters of the Thimble Islands in Long Island Sound and, legend has it, buried treasure on Money Island (hence its name).Tom Thumb came to Cut in Two Island to court Miss Emily, the similarly statured daughter of the island’s owner but, as the story goes, P.T. Barnum broke up the romance.President Taft made Davis Island his summer White House for two years though, according to some, he actually only spent one night there. Their colorfully blended history and lore – the two often indistinguishable from each other – just add to the natural charm of the Thimbles, a cluster of tiny granite islands off the coast of central Connecticut. 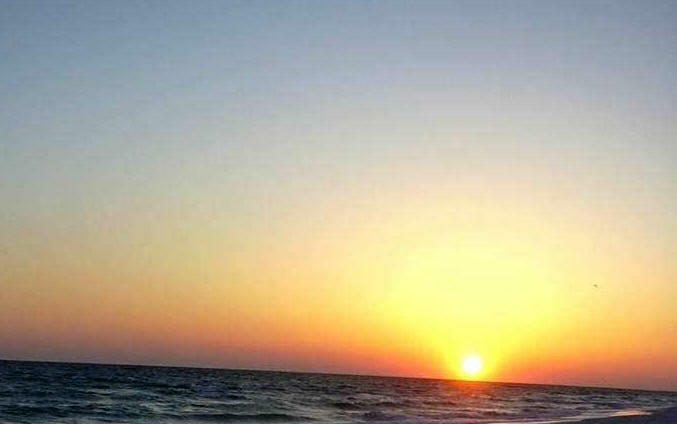 The native Mattabesec (or Mattabeseck) Indians called the isands "the beautiful sea rocks." White settlers rechristened them the Thimble Islands, not for their diminutive size but for the tiny thimble-shaped berries that grew their in profusion. Most of these were wiped out when all the trees and bushes, now regrown, were cut down during the Revolutionary War to prevent British warships from hiding among the islands. Just how many islands there are depends on who you ask and how you define the difference between a rock outcropping and an island. Some say there are 365 islands – one for each day of the year – others count about 100. Only 23 islands are inhabited, some with one home, others with a few, and just two with small communities. Horse Island, the largest, is 17 acres and owned by Yale University, which keeps it for ecological research. The smallest...well, I went to a party on a tiny island— a pink granite knoll perhaps 50 feet across at high tide— that was timed around low tide so there would be more room for people. And this isn’t the smallest one. 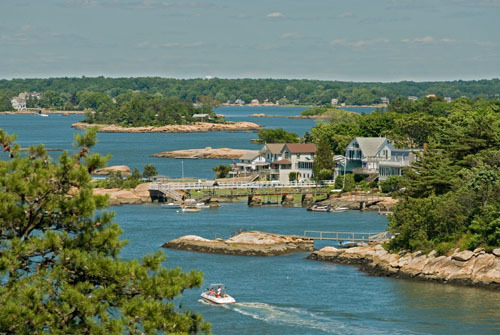 The Thimble Islands are located just off the coast of Stony Creek at the eastern end of the town of Branford, just 12 miles from New Haven. In Victorian times, there were hotels on some islands and steamers regularly made the short journey from New Haven. Today, all the islands are private but their waters still draw many, from serious boaters to day visitors who come for the very popular boat tours that ply the islands’ waters. In recent years, the Thimbles, close to shore and to each other, have become very popular with kayakers. Paddling among the cuts and coves of the rocks and islands is an ideal way to explore the quiet world of the Thimbles and this unique corner of Long Island Sound. 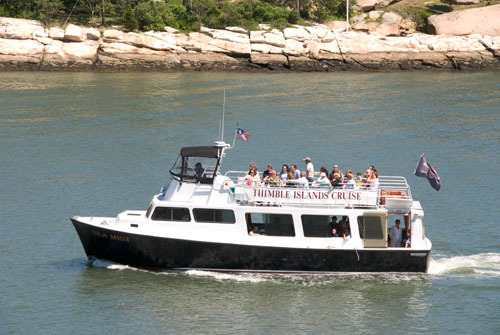 The Thimble Islands are just 2 miles south of exit 56 off I-95 in Connecticut. The boat tours last 45 minutes and run from May to October. The captains’ narrations colorfully recount the history and tales of the islands. For your tour of the beautiful rocks, you can book the Sea Mist, captained by Mike Infantino for 30 years; or the Volsunga IV, helmed by Bob Milne for nearly 25 years.